Show off your relaxed style with this power recliner. With pillow arms and a plush seating area, this chair is perfect for sitting and watching movies or reading your current book. The power lift base operates with a remote control and is perfect for someone with low mobility. 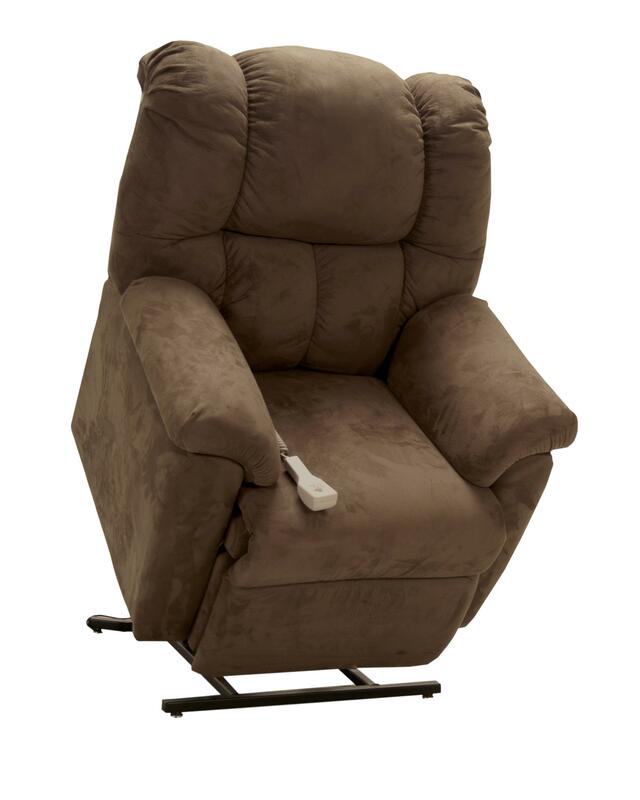 This casual lift recliner will be a great accent piece in your home! The Lift and Power Recliners Lift and Power Recliner with Rolled Chair Back by Franklin at Miskelly Furniture in the Jackson, Pearl, Madison, Ridgeland, Flowood Mississippi area. Product availability may vary. Contact us for the most current availability on this product. Browse other items in the Lift and Power Recliners collection from Miskelly Furniture in the Jackson, Pearl, Madison, Ridgeland, Flowood Mississippi area.